The fellas are back to talk KU basketball’s dominating week, give an update on the Billy Preston situation (with rampant speculation), preview this week’s games, and talk a little Big 12. They also wrap up the KU football season and put their stakes in the ground on when and if Beaty and Zenger will be moving on. 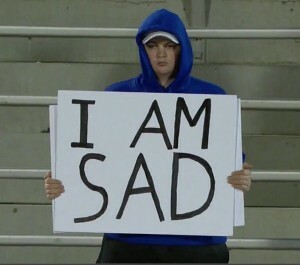 They are also joined by a special guest, Cameron Werner, AKA the “I’m Sad” sign holder at the KU-OU game and c0-host of the KU View podcast. They also share some Mitch Lightfoot hot takes, talk about why they created a Jayhawk Talk LinkedIn account, and close with some #HEYBEEL. Come on in, have a beer, and enjoy a little Jayhawk Talk Podcast.